Here in Walnut, our Le Corbusier B9 armchair, sometimes referred to as the Era armchair, offers the same superior European construction that has set Thonet furniture pieces apart for well over a hundred years. 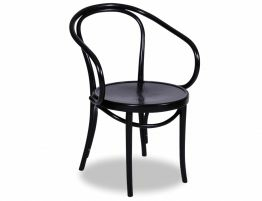 Made in the same factory that has bent wood for the Thonet family for so long, this bentwood armchair is a must have. Whether you see this fine armchair in your dining room or your upscale kitchen, this timber chair is built to last. A chair favoured by architects, Le Corbusier himself used the chair in many of his buildings including the Pavillon de l'Esprit Nouveau in Paris and the famed Villa de la Roca. 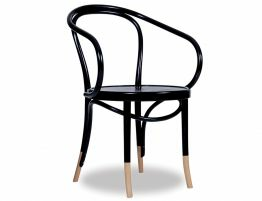 Defined by its impeccable bentwood construction and classic form, the Era arm chair has been in ongoing production for over 150 years. 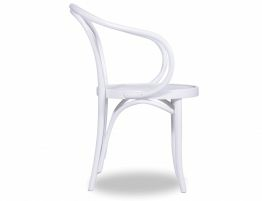 By designing the back of the chair and rear legs from just one piece of curved wood, designer August Thonet – who exalted the bentwood process for chair-making – eliminated the need for expensive individually carved joints. 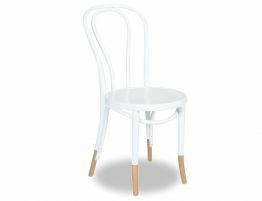 The ensuing chair is stately, lightweight, graceful and remarkably strong proven by its frequent use in cafés and restaurants across the globe. 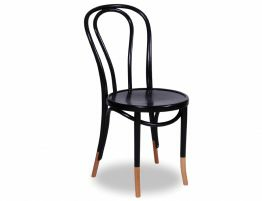 Thonet chairs heralded the birth of the modern furniture era, using the advent of mass production to its best advantage, while giving generations after generation iconic, high quality bentwood furniture. The B9 is a design that has a malleable look. Swiss architect Le Corbusier was riveted by it and used it in many of his buildings like the Weissenhof Siedlung for example. Our Le Corbusier B9 armchair is available in multiple style choices including the Walnut B9 seen here. Our Era armchair has a striking design detail—its seat is subtly embosses with a sunburst pattern. Bring the timeless style into your space with our European made Le Corbusier B9 armchairs and let the best of European bentwood furniture effortlessly elevate your interiors. 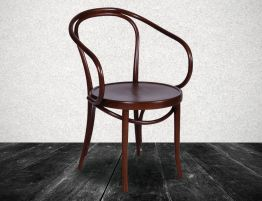 At Relax House furniture, we offer an incredible array of bentwood furniture including Michael Thonet originals and bentwood classics. 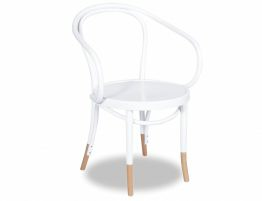 Available in many wood finishes and paint colours, it is easy to find the dining chairs, armchairs, kitchen chairs and wood chairs you want. With a great selection and low priced furniture, Relax House is your best bet for modern furniture Australia.